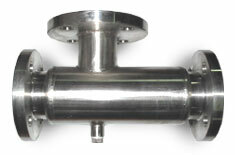 This unit is the liquid and steam are directly mixed, and the liquid is heated. pass into the liquid. The heating steam thus makes direct contact with the liquid. - Controlling liquid temperature is easy, and the steam consumption can be econonized.